Will the Media Decry the Arpaio Pardon? The cable and broadcast news media (with the exception of Fox) has done a stellar job at covering the events in Charlottesville. The next challenge looms. 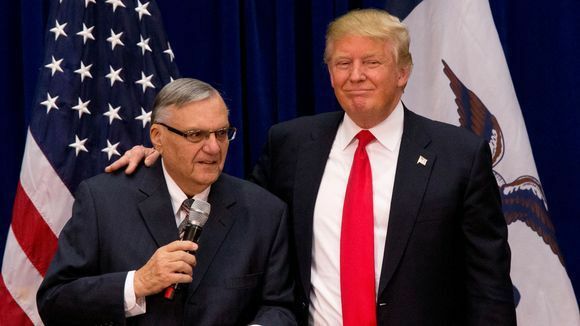 In order to feed the racist portion of his base, Trump is considering a pardon of convicted racial profiler and fellow birther Arizona Sherriff Joe Arpaio. While in office Arpaio habitually abused his official power to harass and intimidate Latino families under the guise of enforcing immigration laws. Latinos have somehow become used to having their civil rights issues regarded with less seriousness as other racial and ethnic groups by the media. While we have seen well-deserved coverage of the racist attacks in the south will the media see this dog whistle in the southwest? The WP has covered the pardon story here.